Okay so you have decided that you want to build a list, good for you. It is a great way to keep in contact with your clients and build a relationship with them. So what are the best autoresponder services? Well here is a short review of the autoresponder services I prefer. Just like I have stated in the past I love free trials.There are so many of them out there to choose from I know it is sometimes hard to choose, so I will get right into it. If you are just starting to build a list my favorite autoresponder is MadMimi. Why you ask, well simply it lets you have up to 100 contacts absolutely free for as long as you have the account. You can send up to 1 million emails per month on the account. This is a great system and easy to use. The drawback of the free system with them is that it can be a bit slow. That being said if you are just starting your list it is a great place to start. If you don’t want the delay you can upgrade to their $42 a month system that allows up to 10,000 contacts and you still have the cap of 1 million emails per month. Not a bad deal but that is a big jump in contacts. This will make all the emails very quick they just put priority on their paying customers. I have to say I can’t blame them. The final stage they have is their Jumbo package which allows up to 100,000 contacts. The price of that package is $369/month. These are all less expensive than other services options with the same numbers that I have seen out there and the overall the service is worth it. While the free option is less responsive, as long as you are just building your list this is fine. I utilize this one in particular when I am starting a new list. Sometimes it takes a while to build a list so it allows you to get started for free. Maybe your list never grows very big and that is fine, but at least the service is free. I always like the try before you buy option. Their customer support is great and very responsive. If you are interested in trying out MadMimi for free try it here. The next one I will talk about is AWeber. This is a great program and one of the most used of them all. They do offer a free 30 day trial, I love those free trials. Then after the 30 days it is $19/mo for up to 500 contacts. This allows you to send out unlimited emails and the response time on them all are great. They have several other levels of pricing as well as you can see from the picture. The base subscription is $19 a month then for each level you add the amount shown. ie. level 2 would be $19+$10 or $29/mo. and so on. I do like the free 30 days. What I do on my new accounts is I will start with MadMimi then transfer to another service like AWeber or GetResponse once I reach the threshold of having to pay. Then I switch back once that list gets big enough to merit the change. Some services require your list to reconfirm their emails to comply with the anti spam laws and you will lose a few people from you list if you do this. The best way to retain most of them is give them a heads up and let them know you want to better serve them so you are changing services. Then thank them for their understanding. AWeber has a wonderful support network and their response time is very good. If you would like to try Aweber for free you can do it here. My favorite autoresponder is GetResponse. The pricing is reasonable and they also offer a free 30 day trial. Then it is $15/mo with an annual discount of $12.30 and allows you to have 1000 subscribers and send unlimited emails. As you can see the overall tier system is very fair and cost effective. The service is very good and you have immediate response to all your emailing needs. They even have how to lessons about growing your list fast. Their customer support is great just like all the other programs that I have mentioned. If you are interested in trying GetResponse for a free sign up here. There are many great autoresponder programs out there. I have listed three of my favorite. There are some absolutely terrible ones and there are some good ones. Just pick one that suits your needs and budget. Don’t delay and get started on growing that list today. Autoresponders are a great way to increase your customers trust as long as you don’t go crazy with trying to sell them something in every email. You can read more about customer relationship here. Please leave your comments and questions or experiences below. I appreciate your comments. Thanks for this post, I’ve yet to set up and autoresponder on my site and this post is rather timely, will be bookmarking this. If you have any questions please let me know I will be glad to help. It is actually quite easy to do. Glad I could help you out. I really like your review of the best autoresponders out there. Each program has its advantages and disadvantages as well. I’m planning to sign up for Aweber or Getresponse and I’m going to bookmark your post. But the bottom line is that autoresponder service is a great way to build relationships with your visitors and gain their trust. And it’s an excellent option to increase your website conversion rate. I know an internet marketer who has increased his conversions by 300% after staring using autoresponder and I’m going to start using it too. Very happy you found the post useful and thank you for the bookmark. Autoresponder services can really take your internet marketing to the next level, especially if you treat your customer right and build that relationship. Let me know if there is anything I can do to help you further. Thank you for the comment. 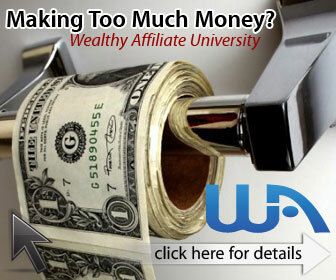 It is just one of the many tools for internet marketers. The thing I keep emphasizing is that you need to work on the relationship with your customers not just try to sell to them on every email. Give them useful information. I think all of these are great autoresponders. Get Response is definitely a good one. Good luck to you and let me know if there is anyway I can help.